at .99. Read on your PC, Mac, smart phone, tablet or Kindle device. 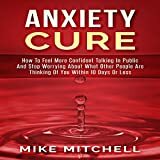 Bestselling Social Anxiety book now with even more content! Suffering from anxiety can cause damage to your mental health over time and keep you from reaching your full potential. 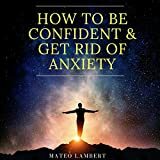 This audiobook will teach you how to deal with your anxiety and put it in the past. Learn how to overcome your anxiety once and for all!